Anne Feeney is the international troubadour of social justice. For over 20 years she has led the music world in addressing the social crises of our day. Now in her 50s and the proud mother of two grown children, Anne continues to inspire the world with her music. As this review is being written she is on a three-week peace tour in Ireland! Anne is best known as “The Union Maid” from her lifelong dedication to the labor movement. Her continuing concern for work and workers is reflected in both her opening cut and “Too Much Monkey Business,” her hilarious and completely updated version of the old Chuck Berry song. Here she presents a great take on contemporary working-class frustrations. “Let Their Heads Roll,” another track, gives a harsher perspective on the exploitation of society by an economic elite and demonstrates Anne’s continuing concern for the declining fortunes of American workers. Finally, Anne speaks about present U.S. politics and the recent past in “Shell Game.” Written by Anne in 1990 to address American intervention in the Middle East by George H.W. Bush, it is eerie and frightening to listen to this track in 2006 — in the sixth year of George W. Bush. 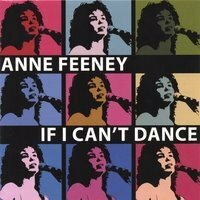 “If I Can’t Dance …” totals 16 songs, two of which are Anne’s own work. Seven are newly recorded, while nine are from earlier CDs and tapes no longer available to the public. So veteran fan or newcomer, check out Anne’s web site at and order “If I Can’t Dance” — and check out her other CDs, too. You can also order via telephone by calling 1-800-BUY-MY-CD.